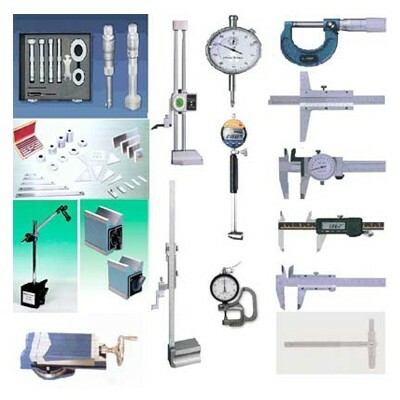 India Tools & Instruments Co. is one of the leading Precision Measuring Instruments Manufacturers, exporters and wholesale suppliers from Mumbai, India that has a precisely designed range to meet the diverse need of the customers. The company has its manufacturing units established in India and make use of highly engineered tools and techniques to offer brilliant products to our end customers and assure excellence. We produce all our products under strict surveillance, and all of them get tested against various parameters to offer high stability, trouble-free configuration and easy conception characteristics. We are a popular name as Precision Measuring Instrument manufacturer, exporter, and supplier in India. Each of our instruments is designed as per the industry standards and has the ability to deliver you the expected results. You can choose the best option from our wide range and we guarantee neither its life nor its performance will ever let you down. We are looking to supply our comprehensive range worldwide including USA, UAE, UK, Africa, Japan, Canada, Europe, Kenya, Libya, Singapore, France, New Zealand, Dubai, Nepal, South Africa, Russia, Angola, Australia, Uganda, Iraq, Hong Kong etc.